To ensure that our mattresses and pillows are non-toxic, eco-conscious and produced in a sustainable manner, we make sure that our products and source materials meet the highest standards. Our goal is to foster healthy indoor environments and promote sustainability. To this end, below is transparent information on our material certifications, supply chain partners and corporate associations that support this urgent mission. 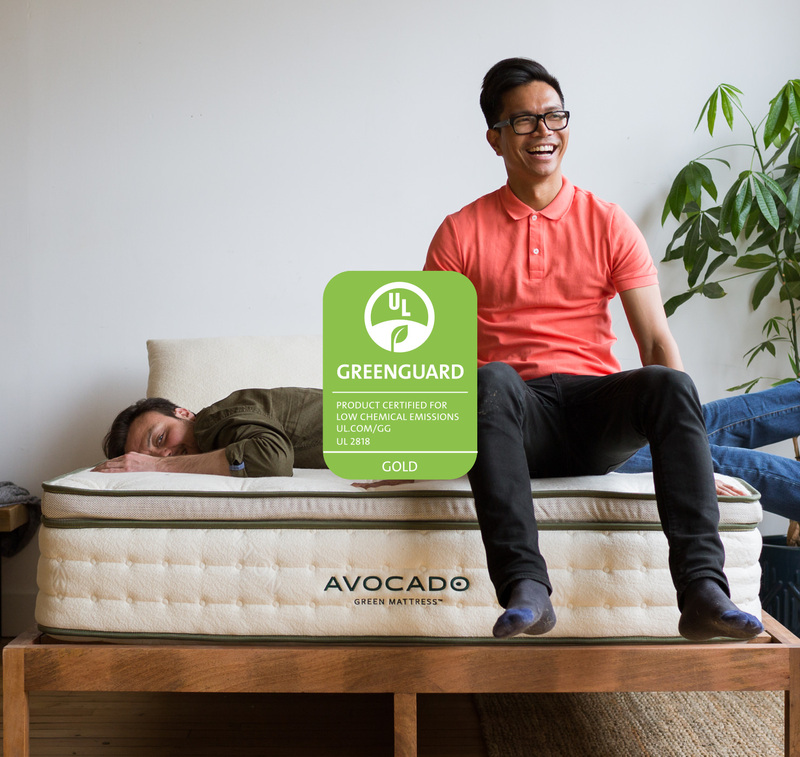 Every Avocado mattress and pillow is GREENGUARD Gold Certified by UL Environment. It means they’re scientifically tested to meet some of the world’s most rigorous emissions standards for chemical exposure and pollutants, such as volatile organic compounds (VOCs), formaldehyde and phthalates. Few mattresses and pillows qualify for this gold standard. For a deeper dive into indoor air quality, pollutants and your family’s health, visit our GREENGUARD Gold Certification page. Our 100% certified organic latex is sourced from tree-tapped and sustainable latex sources in Asia. (Latex trees do not grow in the United States). 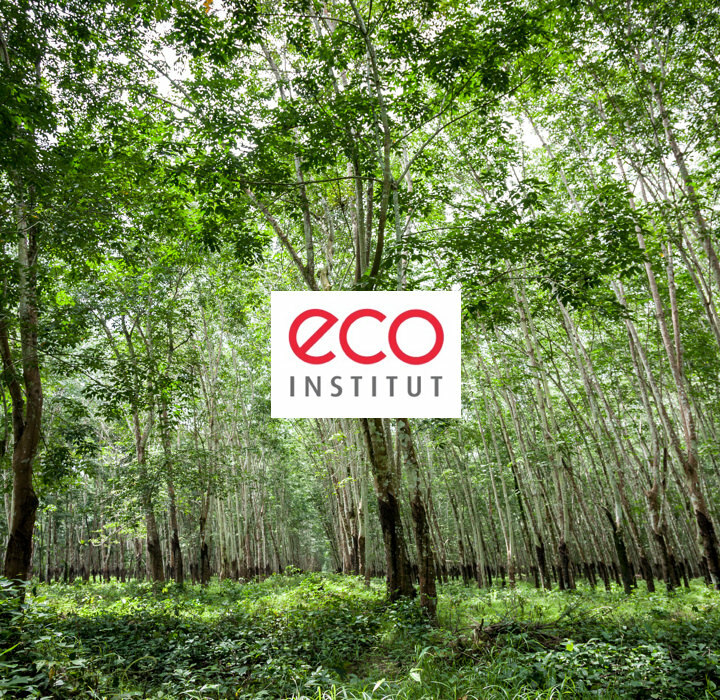 The finished latex is tested and certified for hazardous emissions by the eco-INSTITUT® — an independent testing and verification firm in Germany. It evaluates the latex for an extensive list of chemicals including: formaldehyde, VOCS (volatile organic compounds), heavy metals, pesticides, phthalates, and other potentially harmful chemicals. 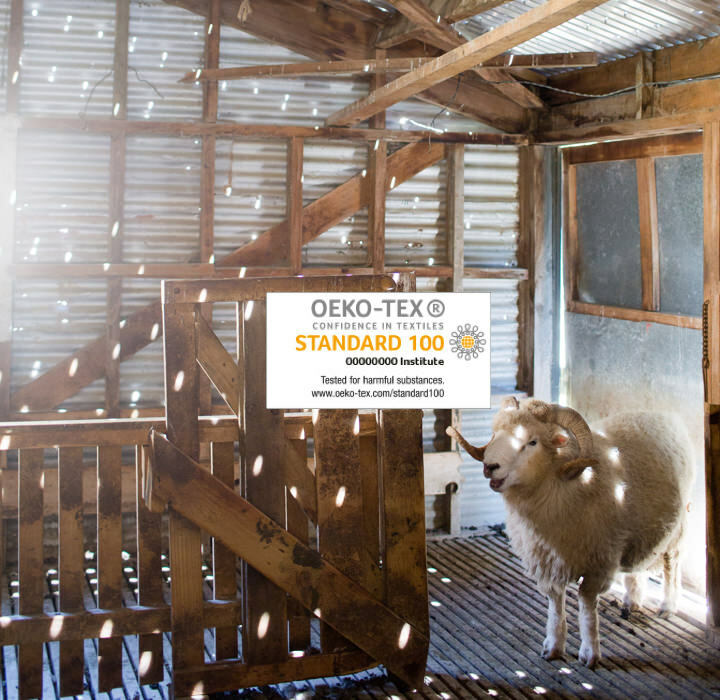 The STANDARD 100 by OEKO-TEX® is a worldwide consistent, independent testing and certification system for textile products at all processing levels. 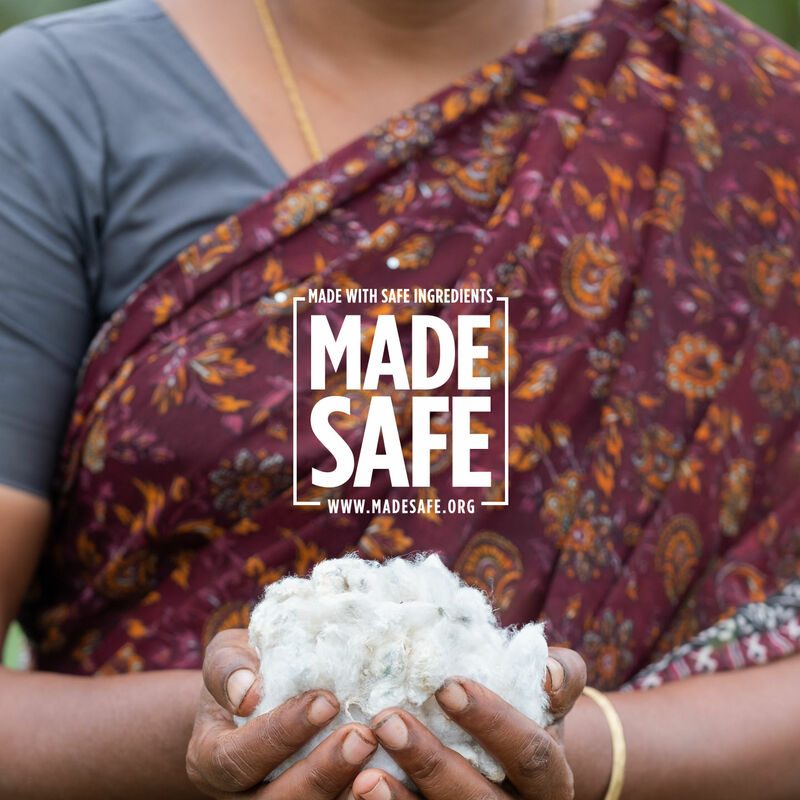 Our wool adhere to this strict certification to ensure human and ecological safety. This certifies that our wool is free from allergenic dyes, pesticides, chlorinated phenols, heavy metals, formaldehyde, chloro-organic carriers and has a pH that’s not harmful to the skin. 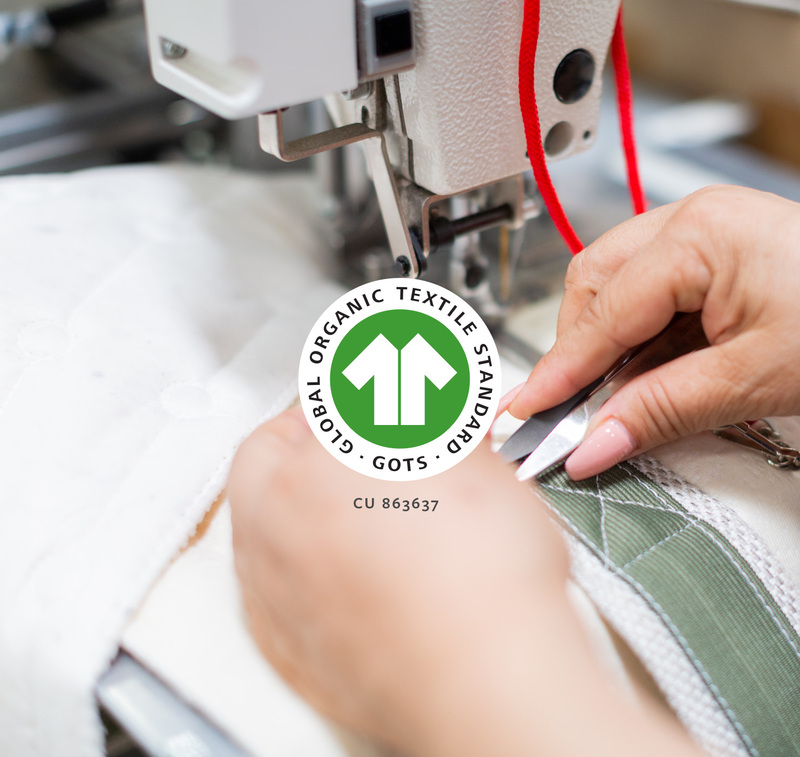 Free from harmful chemicals, organic cotton and wool that are certified to the Global Organic Textile Standard (GOTS) are better for your health and the people growing it. They are also renewable and sustainable resources, independently verified, and always ethically and responsibly sourced. We are proud to use GOTS certified materials and operate our own GOTS certified factory in Los Angeles. The Global Organic Latex Standard (GOLS) ensures that products contain more than 95% of certified organic raw material based on total weight. The GOLS standard features permissible limits for harmful substances, emission test requirements and polymer and filler percentages. 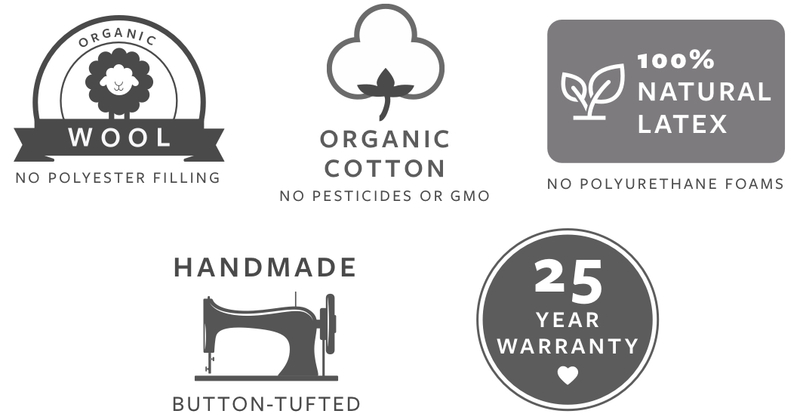 All mattresses feature GOLS organic certified latex and our factory in Los Angeles is a GOLS certified facility. 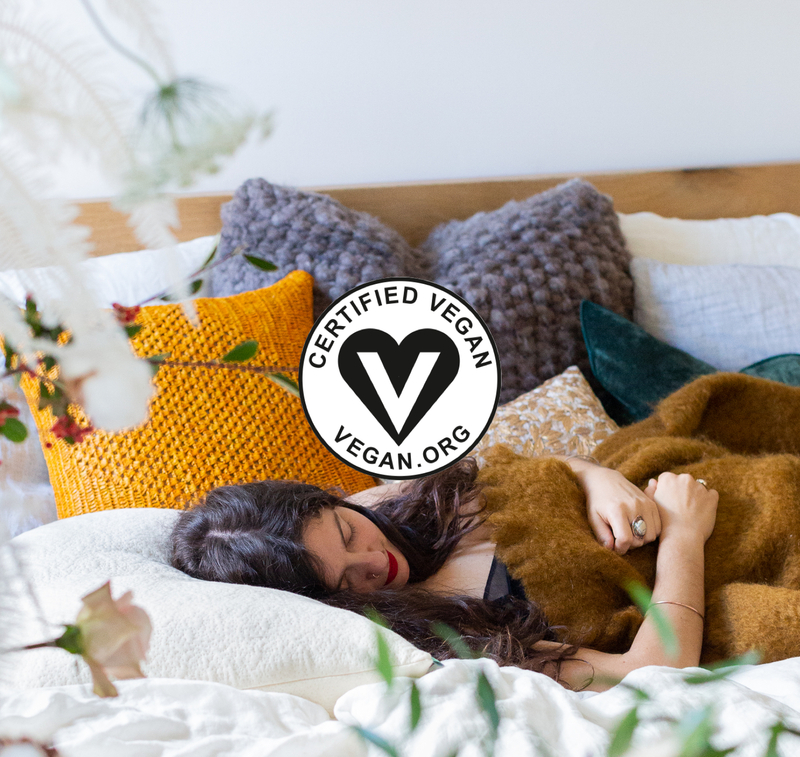 Our Vegan Mattress has been certified and verified by Vegan Action (The Vegan Awareness Foundation) in Richmond, Virginia. These products do not use wool and do not contain animal products or byproducts and that have been tested on animals. Instead of wool, a generous layer of organic cotton batting from Texas is used. MADE SAFE® screens ingredients for known harmful chemicals, bioaccumulation, persistence, and general and aquatic toxicity, including behavioral toxins, carcinogens, developmental toxins, endocrine disruptors, fire retardants, heavy metals, neurotoxins, high-risk pesticides, reproductive toxins, toxic solvents, and harmful VOCs. Our mattress protectors and pillows are certified, and we are in the process of reviewing our mattresses. 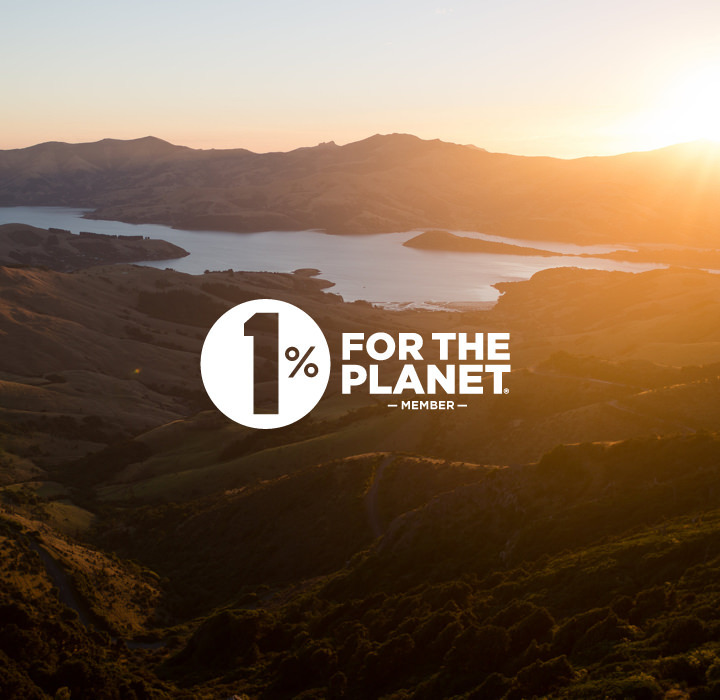 1% for the Planet® is a global organization that connects dollars and doers to address the most pressing issues facing our planet. Started in 2002 by Yvon Chouinard, founder of Patagonia, and Craig Mathews, founder of Blue Ribbon Flies, member organizations have given more than $150 million to environmental nonprofits to date. 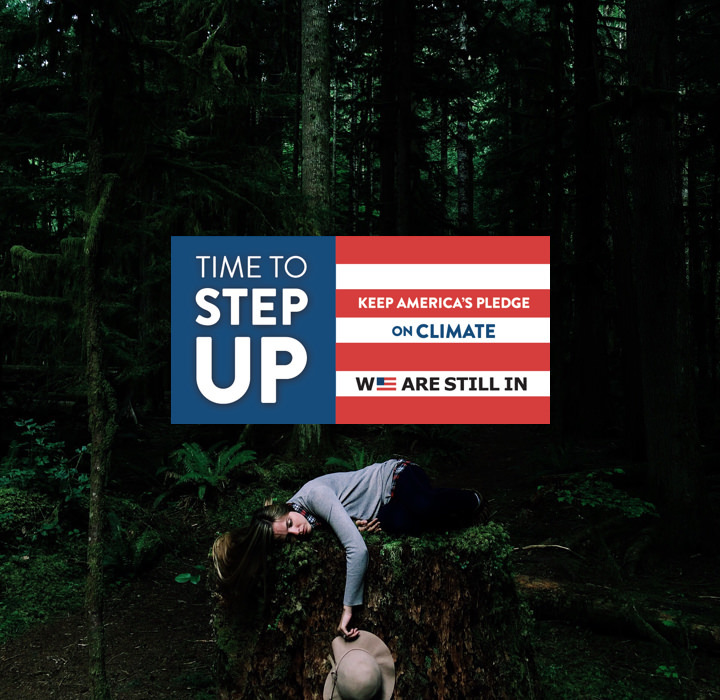 As members of 1% for the Planet, we are fully committed to giving 1% of our corporate revenues to verified environmental nonprofits — to help protect the environment and give back to our global community. 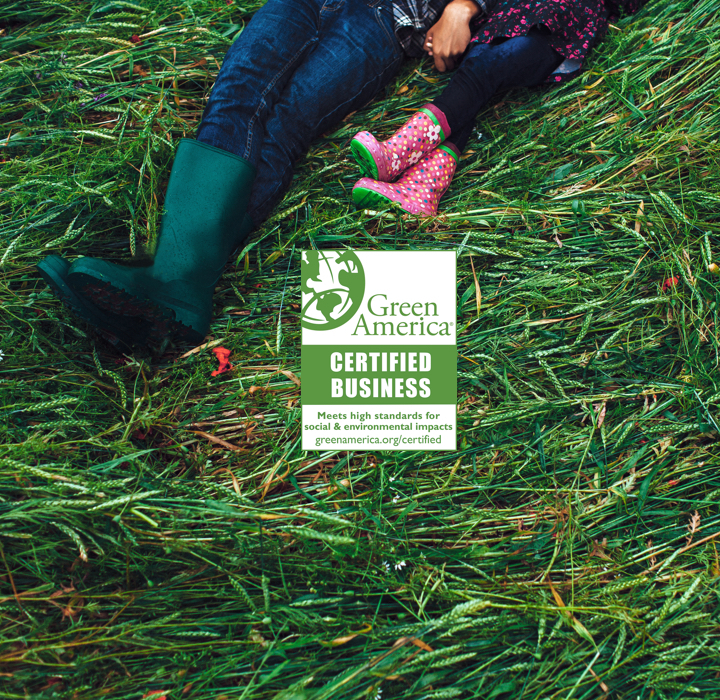 Green America® awards Green Business Certifications to companies and organizations that meet or exceed their standards for social and environmental responsibility. 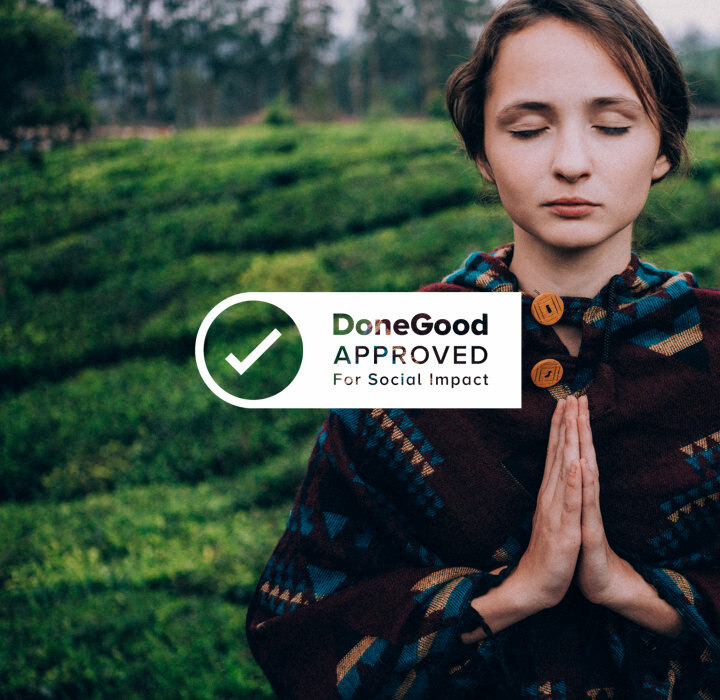 They certify companies that are committed to using business as a platform for social change, operating in a “value-based” and environmentally responsible manner. 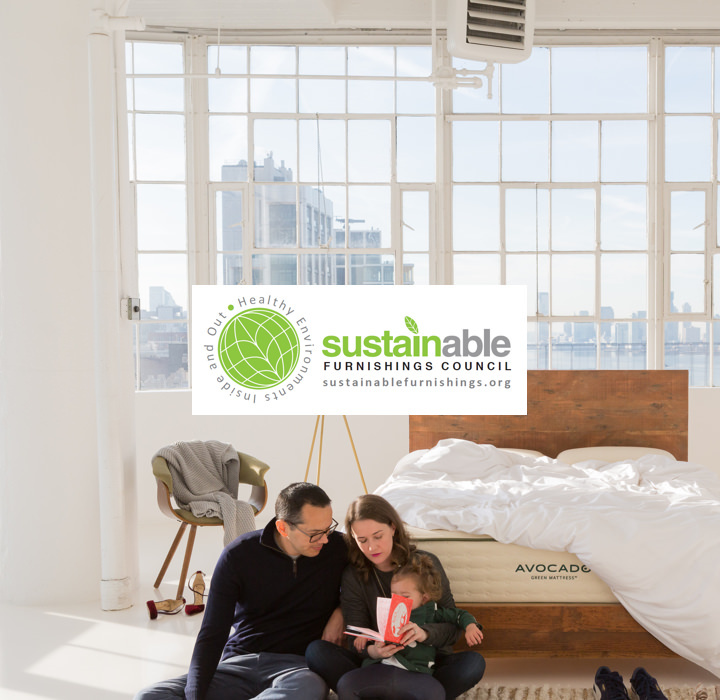 The Sustainable Furnishings Council (SFC) is a coalition of manufacturers, retailers and designers dedicated to raising awareness and expanding the adoption of environmentally sustainable practices across the home furnishings industry. As a SFC member, we support the triple bottom line of PEOPLE – PLANET – PROFITS to develop an awareness of best practices throughout supply chains. We are reducing our carbon footprint through forward-thinking energy reductions and efficiencies, combined with cost-effective carbon offsets, to eliminate our overall carbon footprint. 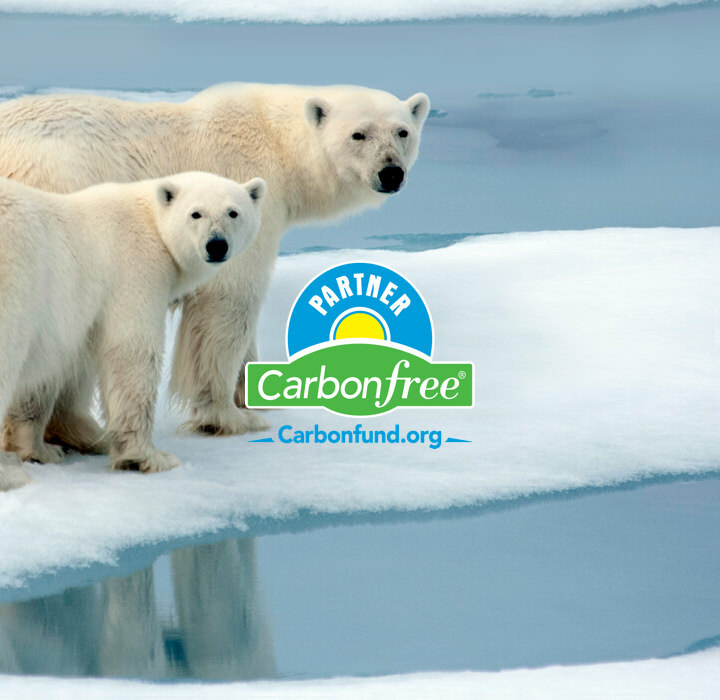 As a Carbonfree® Partner, we offset the emissions from our factory and product shipping on an annual basis via carbon offsets purchased from Carbonfund to support reforestation projects around the globe.